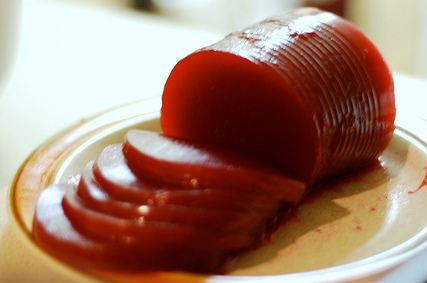 WATERLOO, IA—Sources confirmed late this afternoon that there is still plenty of cranberry sauce left on the table at the Morris family Thanksgiving dinner. “Hey, does anyone want any cranberry sauce?” Sheryl Morris was overheard saying to the rest of her family, adding, “Well, there’s a lot left if anyone is interested.” According to reports, Sheryl and her son Jonathan were the only ones to have taken a piece of the sliced, gelatinous, canned fruit, but Jonathan had only taken two bites of his. “Chris would you like some? No? What about you Kelly? Ok, I’ll just leave it here on the table in case anyone changes their mind.” At press time, Sheryl was seen covering the jellied sauce with aluminum foil before placing it in the refrigerator.